Victims of the armed conflict in Colombia are spread all over the globe. Even more important it will be to hear their voices – and thus their experiences – within the framework of the truth commission (CEV) in Colombia. 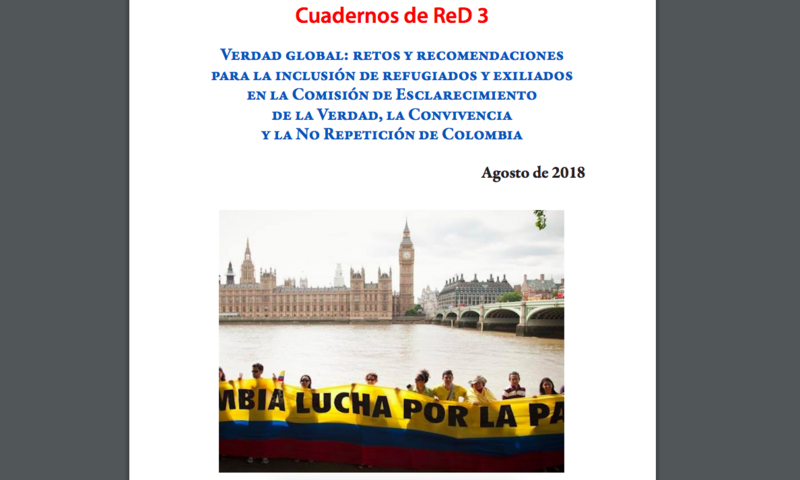 It was a pleasure to compile this short policy paper with Andrei Gomez and Gwen Burnyeat for Rodeemos el Diálogo and hopefully the lessons learned from five other cases can be useful for the Colombian truth commission. Check out the document here. Previous The book “Get the truth out of truth commissions” is out!